Over 200 stalled building projects will receive a share of a multi-million pound pot to get Britain building again, Housing Minister Grant Shapps announced today. The news came as the Prime Minister announced an extra £150 million for the Get Britain Building fund - taking the total to £570 million, paving the way for up to 16,000 new homes and supporting over 30,000 construction jobs and more in supply chains. The Get Britain Building investment fund will get development finance directly to building firms. Funding will be provided through recoverable investments, with the majority being commercial loans, ensuring that money will be returned to be re-invested in other priorities. The successful bids, which include a high proportion of developments by smaller and medium sized builders, will now be thoroughly assessed through due diligence before funding is allocated and formal contracts can be signed. The £570 million fund is being targeted at commercially viable, shovel-ready sites with planning permission already in place to get them building again as soon as possible. Ministers have already announced a shortlist of 18 difficult stalled sites for a share of the first £45 million of this funding to get them back on track and build 1,300 homes, which will help breathe life back into communities across the country. Some of these key projects are already on track to start building from April 2012. Housebuilding is absolutely vital for delivering more growth in the economy, yet hundreds of shovel-ready housing developments have been put on ice, because builders lack funds to get work going on site. The £570 million Get Britain Building Fund will help end the deadlock by getting construction back on track for up to 16,000 homes across the country. Already some of our key sites are on track to get started next month, and many more of the 224 projects shortlisted today will be up and running from June, helping to cement our economic recovery. A £4.5 billion Affordable Housing programme, set to exceed expectations and deliver up to 170,000 new homes over the next four years. The NewBuy Guarantee - announced last week - which has the potential to enable up to 100,000 prospective and existing homeowners to buy their dream home. Government plans to release by 2015 formerly used public land with the capacity for 100,000 new homes. 1. 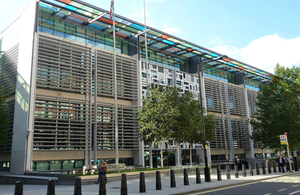 The Get Britain Building investment fund was launched in the Government’s Housing Strategy on 21 November 2011 and a prospectus was launched in 22 December 2011, with the window for bids closing on 30 January 2012. 2. Details of the funding being announced today can be found at: www.homesandcommunities.co.uk/ourwork/get-britain-building (external link). The full list of short-listed projects will be published on the Homes and Communities Agency’s website today. 3. Many housing projects across the country had been put on hold until they have better access to development finance. Under the Get Britain Building Fund, the Government will invest in developments to revive building and get the market moving. This will take the form of loans or equity investments. 4. The scheme will be run by the Homes and Communities Agency, England’s national housing and regeneration agency. In London, the Homes and Communities Agency will be operating under delegation from the Greater London Authority. 5. The Homes and Communities Agency estimates that the short-listed projects could unlock up to 16,000 homes. 6. Projects short-listed through the competition will complete due diligence during the course of next month to maximise value for money for the taxpayer. If not all the short-listed projects successfully complete this process, Ministers will look to award funding to other stalled projects.